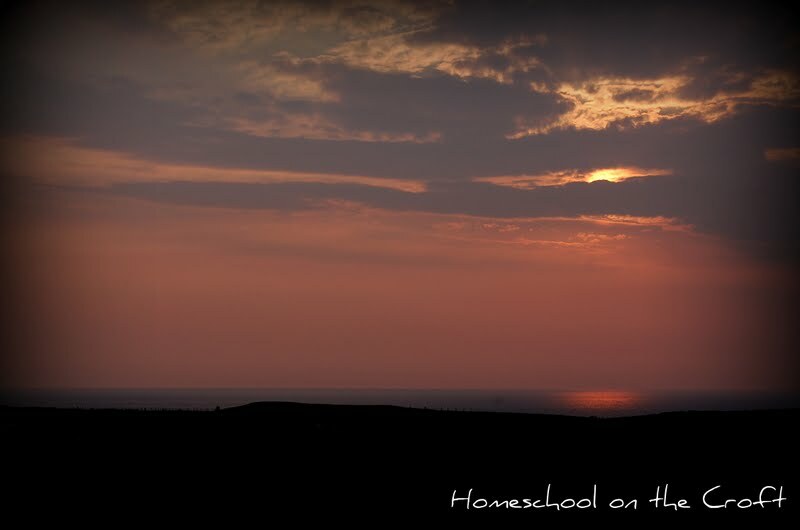 Homeschool on the Croft: Have a Look at this Sunset, Guys! Between eight and nine o'clock every evening, this conversation can be heard in our household. Mum: "Oh guys, come and see the sunset. It's absolutely gorgeous!" Mum: "Oi! Come and see this." FM (sighing slightly exasperatedly): "Mum...we saw it last night." Mum: "No, no. It's not the same tonight. Hurry up before it disappears." One, or maybe two, will feel obliged and arrive at my side. "Isn't it stunning? ", I ask. "Mum, it's lovely. Yep. Lovely. .... just like last night's was"
And so, I'm left to appreciate the beauty before me on my own. The night before last, it looked like this. See.... never the same. But always beautiful, and so relaxing at the end of a busy day. And if we keep having sunny days, I may just call all you guys over every evening to have a look at our sunset. Yes, every evening, because it's never the same two nights running. Just ask my kids. I have the same problem, also with the full moon rising. I bet when I was their age I did the same thing. :) It is very beautiful though. I miss sunsets! We moved from the prairie where sunsets were a stunning good night kiss, like you experience, to an area where mountains and tall trees block the sunset. My mom's call was always to look at cows as we traveled through the countryside. We rolled our eyes, as all kids do, and I actually catch myself saying, "Hey, look, there's some cows!" :) We must love our moms because we turn into them. Thanks for sharing your sunset. Hehehe - I loved the dialogue! But I'm completely with you...no sunset or sunrise is ever the same. You just have to drop everything and soak it in! Very beautiful sunset! I would never tire of it! We have some incredible sunsets, but your little old creek there makes it look even more smashing! I wasn't impressed with things like that when I was a teen. Haha, my dad is exactly the same. His study window is west facing so he gets a good view every night. He's forever popping out to photograph the moon too. Beautiful sunsets. They'll appreciate them when they're older. So very beautiful. I would have to watch it every night. MommaMindy...we *do* turn into our mums in so many ways. Scary! Patrice - beautiful :( Thank you for that. 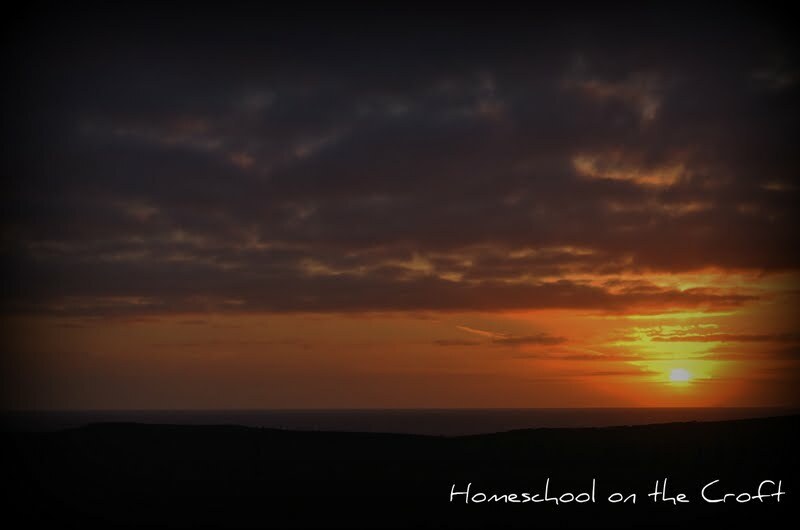 You DO have the most stunning sunsets! Thanks so much for sharing them. To you and your family and all who follow your blog, have a very Blessed Easter - God Bless! Beautiful sunsets! Like Lisa, I could never grow tired of those!